Documents recently leaked from Saudi Arabia’s Health Ministry disclosed that over 90,000 pilgrims have lost their lives during the Hajj rituals in Mecca over the past 14 years. The Beirut-based Arabic-language al-Akhbar newspaper said that it has 3,121 documents disclosing the precise number of the Hajj pilgrims killed while performing their Hajj rituals since 2002. The documents contain detailed information, including the names, nationalities, age and date of death of the Hajj pilgrims, Fars reported. According to the documents, 90,267 pilgrims have lost their lives during the past 14 years, as reported by IRNA. “This means that Saudi Arabia has not only lied to the public opinion about the Mina tragic incident, but it is has been its constant policy throughout years,” several media analysts said. 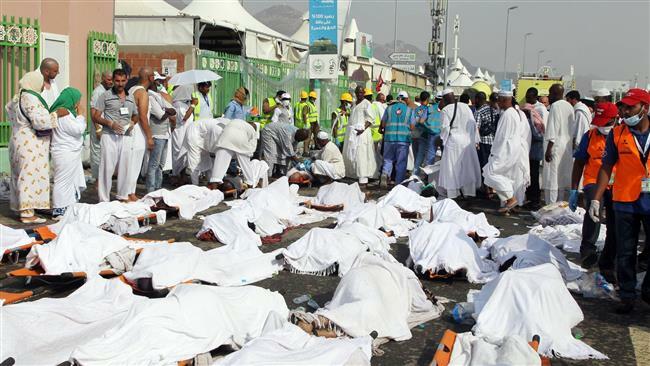 On 24 September 2015, a stampede caused the deaths of at least 7,000 pilgrims who were suffocated or crushed during the annual Hajj pilgrimage in Mina, Mecca, making it the deadliest Hajj disaster in history. The deaths occurred as Saudi Arabia is facing increased scrutiny on this year’s Hajj to keep pilgrims safe.